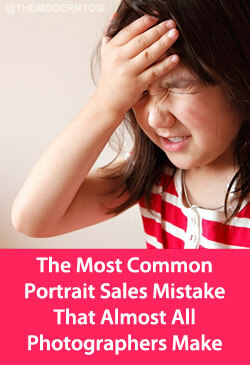 In-Person Sales are one of the best ways to make more money with your photography business. While a scary prospect for many, there is absolutely no denying it’s profitability. 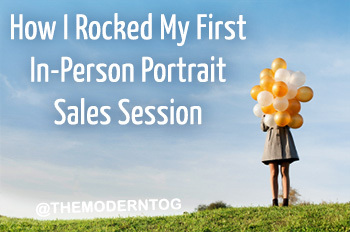 In fact, you can read about my first experience with In-Person Sales and how I made 5 times more than my average sale before doing in-person portrait sales. While you may have gotten into photography because you love it and have a passion for it, passion doesn’t pay the bills. Profit is what running a legitimate business is all about. 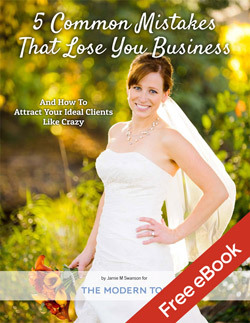 I hate to say it, but that’s not because of the type of clients you have. It’s because of how YOU are handling the session. From the outside looking in, it would be easy to think that I have it all together. I’ve been honored to write an several guest posts, including one here on The Modern Tog, so people sometimes assume I’ve got everything figured out. Let me tell you, that can not be farther from the truth! I’m just like you. I struggle with business decisions, second guess my work, design and redesign my website and then I head to my favorite photography group (Have you joined yet? Because it’s awesome!) to get reassurance from others that I’m not totally screwing things up. I’ve been accepting paying clients for two years now. This week I had my first in-person sales appointment. And not only that, it was the first time I actually offered products to my portrait clients rather than just handing over a disc of images and calling it a day. 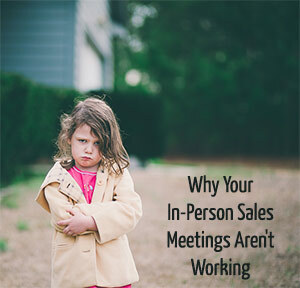 We all hear about in-person sales being the way to go so why didn’t I make the leap sooner? Simple. I was delusional. I really convinced myself that higher prices and in-person sales may work for some people, but not for me. I was sure that no one in my area would pay $500 for something that cost me only $100 to order for them. And you know what? I underestimated how much people value a quality product and excellent customer service – and I underestimated myself in the process. Does that sound familiar too? When I was first starting out in photography, I had no idea what I was doing. I think I charged something insanely low like $50 for a session plus a disc of all the digital negatives. I put the images in an online gallery, but I didn’t really sell many prints. I got lots of compliments about how people loved that they got the disc and could do what they wanted with it. I told myself this was simply a case of meeting my clients’ needs and giving them what they wanted, so it was a good business practice. The problem was, my ideal clients, the ones who valued photography and really wanted to preserve their memories didn’t just want the disc. They wanted someone to walk them through the photos, help them decide which ones would look best on their walls, and suggest products that would truly help them preserve this time in their lives as best as possible. I just didn’t believe that. Not only that, but sometimes life gets busy and sometimes people simply don’t do what they intend to do. Eventually I stopped just giving the disc away and started charging for it to help encourage print sales, but then I’d get clients who raved about their image but never actually bought anything. Life just got busy and they never got to it. 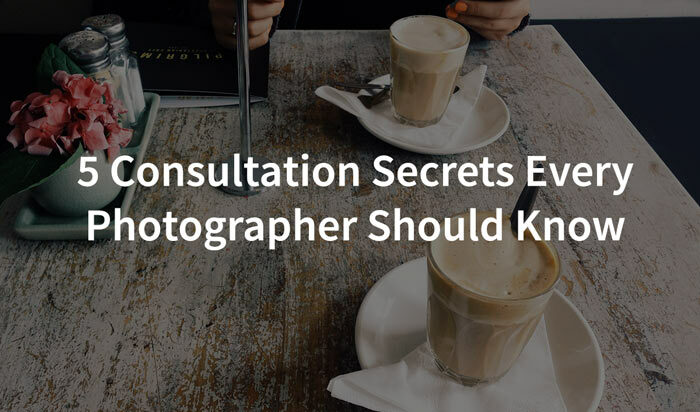 Consultations are the main thing people use to decide what photographer to hire, so it’s absolutely vital to do things right! Trust me. I had no idea what I was doing when I was just starting out and made lots of mistakes. After trying all sorts of things to see what worked well and what didn’t (as well as learning a lot about sales and marketing in the process), I came up with 5 main things that I believe are key to effective consultations. While I write this mostly from a wedding perspective, every single point can be applied to a portrait pre-sales consultation as well. 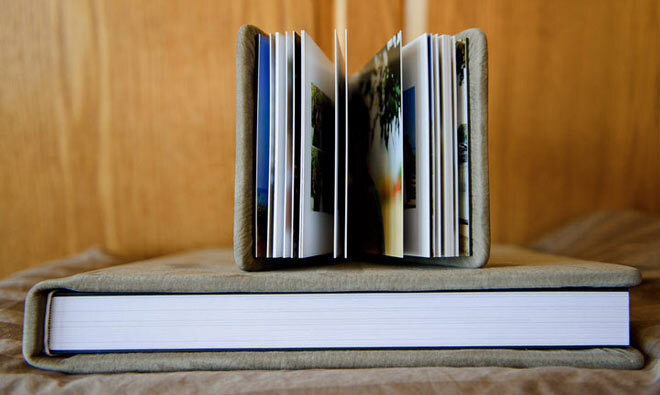 Albums can be one of the most awesome products you offer your clients. They’re profitable, easy to design, have high sentimental value, and do a gosh darn amazing job of showing off your work! 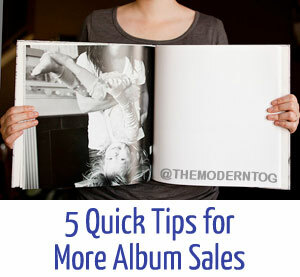 But many photographers have a tough time actually selling albums. Sure, they sound great and all, but what good are they if you can’t convince your clients to buy one? Well, you’re in luck. Selling albums is actually not that difficult! There are some simple ways for you to ensure that your clients are actually *excited* to buy an album! 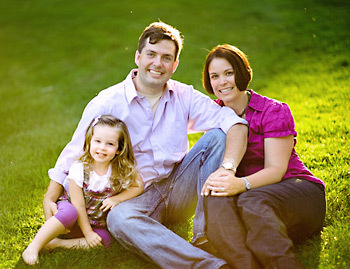 I used to be a shoot-and-burn portrait photographer, but wow was that a mistake. I don’t even want to think about how much money I lost by doing things that way. It made logical sense to me. I am mainly a wedding photographer, and I didn’t promote my portraits much at all because I simply didn’t have time for them or for placing print orders. People got their disk of images, an occasional 8×10, and it was quick and easy. If someone had told me that I’d effectively triple my average portrait sale by taking the extra time to do in-person ordering sessions, I could have shot fewer portraits and still made more money in the same amount of time. I’m not going to claim to be super-experienced in this because I’m not. I just changed to this method of sales this year. But the results so far have been ridiculously amazing. I had heard from other people that this was the case, but it was hard to fathom that I could have sales as high as they were saying. But the results are amazing.